Reports state that almost 17,000 marine species are not properly protected in their natural habitat. And, unfortunately, it seems that the United States is at the bottom of the list, along with Canada, and Brazil who offer very little protection for animals around their borders. Researchers at the University of Queensland conducted the most comprehensive study of marine protected areas (MPA). These are designated regions where fishing is either limited or banned completely, and, in some cases, left as a strictly regulated zone to be seen by tourists. There are several around the world, though they cannot cover the entire extent of our planet’s waters. It’s also not an indication that they will preserve biodiversity. The team of researchers found that out of the 17,348 marine species, an overwhelming majority of 97.4% have less than 10% of their natural habitats protected. This means that their homes are not covered by MPA and are vulnerable to many dangers. These are considered vital for the sake of offering marine animals protection. For a majority of the marine species, their natural habitats are threatened by pollution and industrial work that either directly causes death or may even slow their ability to reproduce. It includes fishes, sharks, whales, rays, and many others that are deemed endangered. According to the researchers, this calls for stricter regulation and a better systematization of organizing MPA. If their goals are achieved, researchers believe they can successfully preserve and protect around 10% of the biodiversity of marine life by 2020. However, it should not strictly refer to the matter of large MPAs. According to Benjamin Halpern, who participated in the study, those vast areas can be “misleading”. It may not be protecting the overall biodiversity, as there are various species living all around the planet. More measures should be taken, including a regulation of the seafood industry. 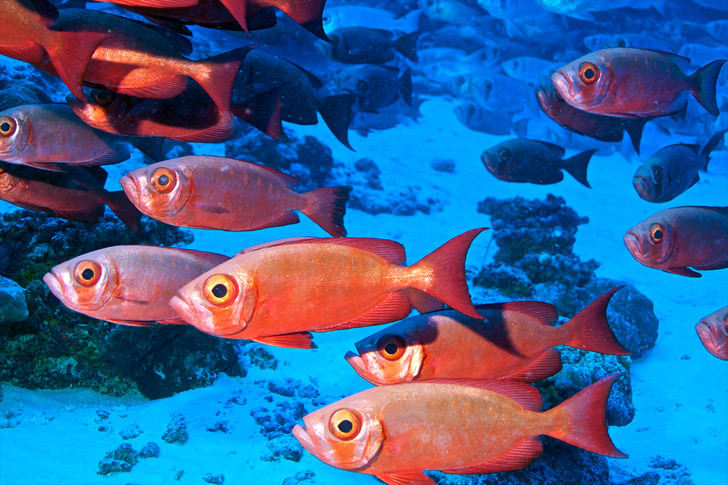 Balance is needed, and if one species is affected by overfishing, then that scale tips over. One species depend on others, and those in turn depend on another. It’s a beautifully balanced ecosystem that is unfortunately fragile. As stated by lead author of the study, Dr. Carissa Klein, establishing MPAs is important, but they should protect biodiversity without harming social or economic aspects of the population. Carefully choosing MPA is crucial, and those establishing them need to take into consideration what areas are already protected, what species lurk within them, and what other species require the same protection.